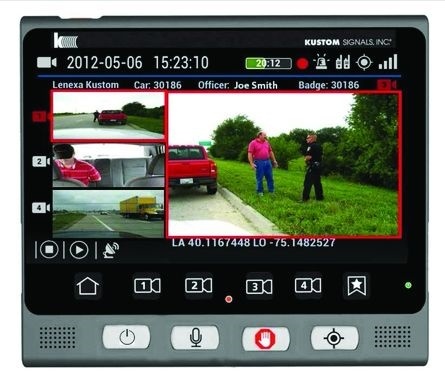 Axon Fleet in-car video systems let officers capture and upload video to Evidence.com. The Blackman-Leoni Townships Department of Public Safety in Michigan uses the Axon Fleet In-Car Video System in conjunction with Axon body-worn cameras. "The Axon Fleet system we have installed has been great for capturing evidence of everything from vehicle pursuits, to structure fires, and other assorted crimes," says Christopher R. Boulter, deputy director - support services. Axon Fleet lets officers capture and upload video footage to Evidence.com. 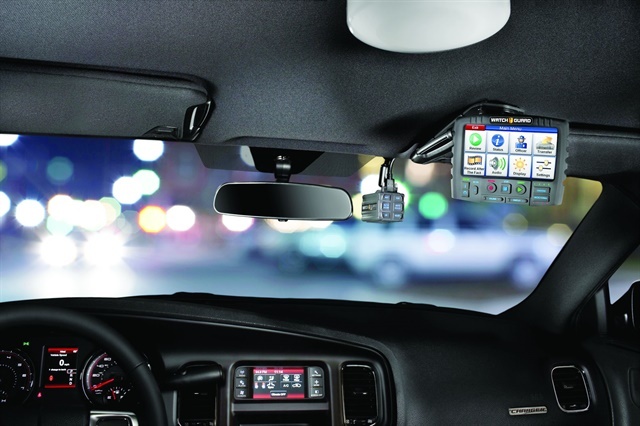 This in-car video system is cloud-based, which means less equipment is needed in the car, and what is needed can receive over-the-air upgrades to keep the technology up to date. 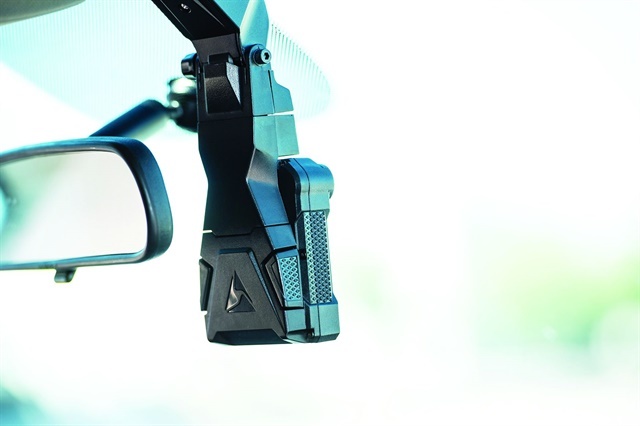 Axon Fleet is also designed to work seamlessly with Axon body cameras. Officers can upload video using LTE, Wi-Fi, or the Axon dock. Blackman-Leoni Townships officers have found the system easy to use and very helpful in accurately portraying what has occurred on duty, Boulter says. They can play back up to four videos simultaneously on one screen on Evidence.com to see the event from multiple angles using multiple cameras. "They have reduced citizen complaints, and they have protected officers from false accusations by clearly documenting the interior and exterior of the car, to include the prisoner compartment," says Boulter. Agencies use the ELSAG Mobile Plate Hunter to find plates with the LPR system. ELSAG's mobile and fixed license plate recognition systems assisted law enforcement in Kansas with the identification and arrest of a thief who was targeting local churches earlier this year. 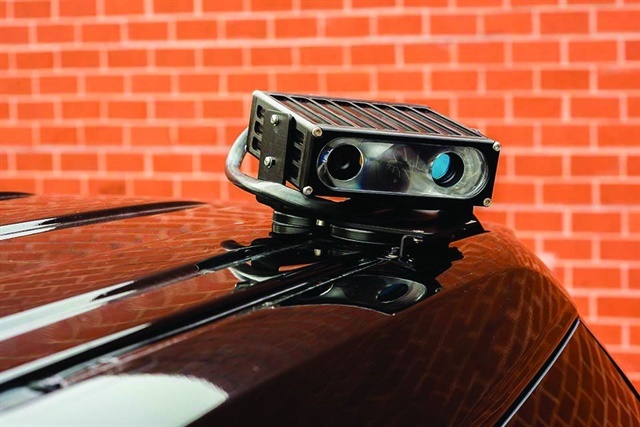 Leonardo's U.S. subsidiary, Selex ES Inc., designs and manufactures the ELSAG ALPR Systems, including the ELSAG Mobile Plate Hunter used in cars and the ELSAG Fixed Plate Hunter cameras. Leawood, KS, police officers were working off duty at a Catholic church during mass and noticed a suspicious vehicle pull into the lot. When the driver saw the uniformed officers, he left, but they already had the information they needed. "Officers obtained the tag, which returned to a known burglar and thief," says Major Dawn Layman of the Lenexa (KS) Police Department. 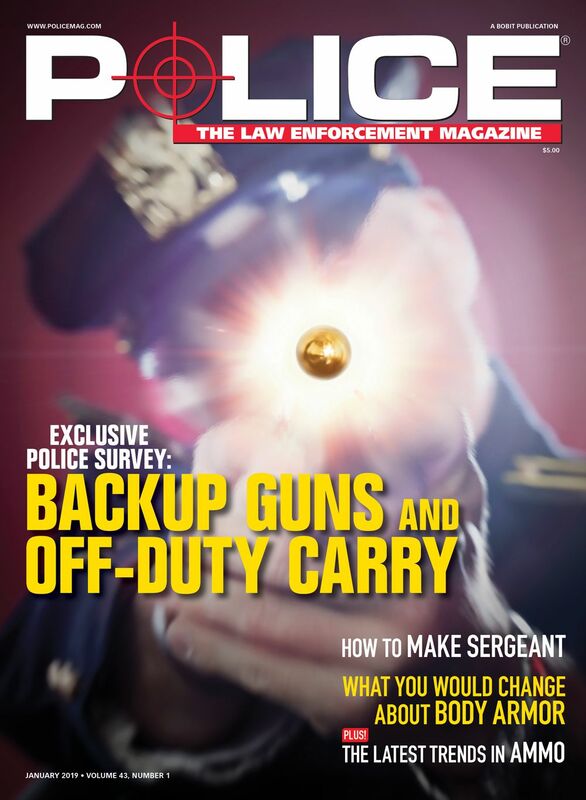 "Leawood PD knew that Lenexa Police had dealt with the subject in the past, and passed the information on to us." The subject had been targeting churches and faith-based organizations during the day and at large events, stealing anything of value he could find and slipping away before he could be caught. But the Lenexa PD investigations captain had the suspect's tag entered into ELSAG and emailed officers and dispatch requesting that they be on the lookout at his preferred targets if the tag triggered an alarm. Days later, this strategy proved effective in catching the suspect. He was found in possession of stolen property and was arrested and charged with aggravated burglary and misdemeanor theft. Kustom Signals' Eyewitness HD allows you to see up to four camera views at once. 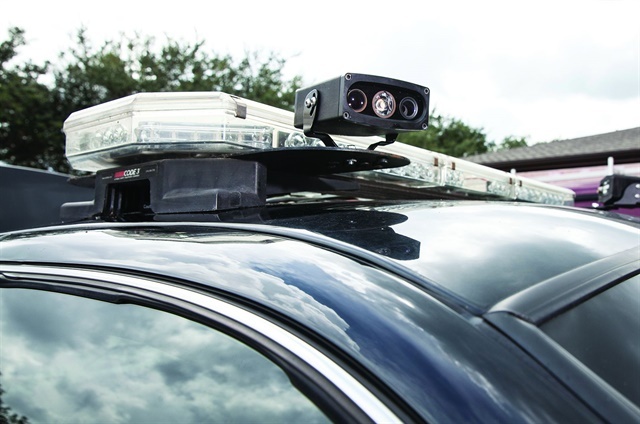 Kustom Signals' Eyewitness HD in-car video system is configurable to departmental preferences and capable of integrating body worn video and ALPR. It is designed with enhanced audio video quality and intuitive user interfaces. Eyewitness HD comes with a 7-inch tablet and intuitive touch screen controller. The system will also interface with your MDC as an alternative, or in addition to the tablet. Eyewitness HD records true HD (1080p) 16:9 widescreen on up to four channels, allowing the officer to see and control up to four live camera views simultaneously. Numerous automatic record triggers are also included, and each trigger can be configured to meet individual agency needs. All cameras include up to 3 minutes of pre-event recording. Eyewitness HD integrates with the new Eyewitness Vantage body-worn video camera to establish an association between files recorded by both systems, saving you time when searching for these files in the back office. In the car, this integration means in-car video recordings will trigger body camera recordings and vice versa. Eyewitness HD files are managed using Kustom's powerful database software: Eyewitness Data Vault (EDV). Using EDV allows agencies with older digital Kustom ICV systems to upgrade to Eyewitness HD in phases if their budgets won't support a complete fleet upgrade. L3 Mobile-Vision's FlashbackHD features a camera that can rotate 360 degrees and Nite-Watch technology for low light. L3 Mobile-Vision's FlashbackHD is a high-definition in-car video system with a new streamlined camera designed to capture images at a greater distance and with higher definition in a wide range of environments. It features a 10x optical plus 12x digital zoom with 720p30 HD resolution and a 60-degree field of view. The camera can also be rotated 360 degrees, allowing video to be captured inside or out of the vehicle and provide multiple viewing angles. For nighttime recording, L3's Nite-Watch technology allows the camera to highlight objects in shadowed areas and prevent glare from headlights to enhance definition for better video surveillance in extreme low-light conditions. The system records up to five cameras and three audio sources simultaneously. It provides agencies with options for how to record and store all of this data. FlashbackHD can record in 720p HD to maintain the crispness of the video or in SD to minimize file size. The DVR can store video in HD or D1 to keep file sizes down and reduce the size of servers needed. Additional features include automatic record triggering, automatic high-speed file transfers, trace points, wide dynamic range, simultaneous playback, and hands-free evidence upload. L3 Mobile-Vision's FlashbackHD system is compatible with all Flashback products and can seamlessly integrate with all back office software. NDI LPR camera systems integrate with the company's many software programs to provide instant alerts. In 2012, Charlotte, NC, hosted the Democratic National Convention, an event which prompted the Charlotte-Mecklenburg Police Department to receive substantial funding to install NDI license plate recognition (LPR) cameras at fixed points throughout the city. Lt. Mike Barron says prior to the convention, the department had already been testing the technology and decided to add more to increase security during the event. Now, the CMPD has 98 LPR cameras located throughout the city and about 13 mobile license plate reader trailers that can be deployed to different areas as needed. "We're seeing most success from what we call fixed license plate readers," Barron says. "Those are license plate reader cameras that are attached to poles or something else and communicate to us from a fixed position." CMPD's Real Time Crime Center monitors all of the LPR cameras and communicates with officers in the field to locate suspects. Additionally, the Real Time Control Center has a network of over 1,000 traffic cameras to locate and follow a suspect's vehicle after a hit notification from the LPR system. Safety Vision's ICOP Pro HD can utilize up to four AHD cameras with recording resolutions up to 1080p. 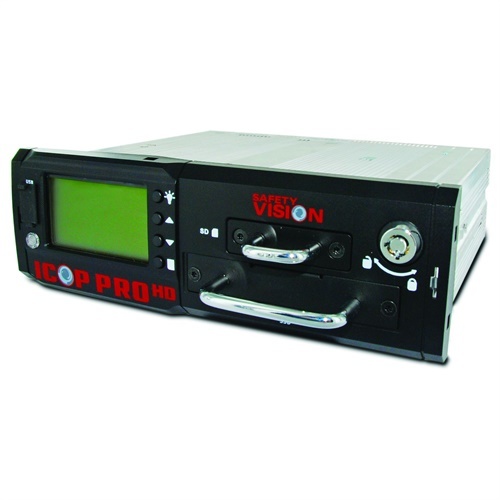 Safety Vision's ICOP Pro HD In-car System is designed to provide tamperproof evidence for reducing liability and increasing conviction. ICOP Pro HD delivers 1TB of solid-state storage, high-definition images, and mirror recording to ensure valuable video is never lost. 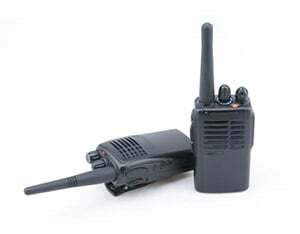 A Power Control Monitor provides officers control of recording, marking critical events, and reviewing video. It's equipped with an analog high-definition (AHD) multi-zoom windshield camera, an ultra-wide angle backseat camera, and wireless mics. The ICOP Pro HD offers the ability to utilize up to four AHD cameras with recording resolutions up to 1080p. It also allows additional support for a high-definition IP camera, ideal for delivering sharp images at 1080p in the most crucial areas where more clarity is needed. Vehicle license plates, road signs, and subjects' faces are all recorded in great detail, enhancing critical evidence. Other features include pre-event and post-event recording; integrated GPS, Wi-Fi, and Ethernet; eight customizable event sensors; secure user and administrator login, and a DVR that installs into 1-DIN slot or a flat mount. The ICOP Pro HD features seamless integration with Safety Vision's upcoming fully loaded body worn camera, the Prima Elite. Users can now capture incidents from multiple points-of-view to form a single visual narrative. Two systems work together as one for high-quality evidentiary video. With Stalker Radar's Virtual Display, officers use steering wheel buttons and a vehicle's touch screen to oparate radar. Stalker Radar, a developer of Doppler radar systems, created the Virtual Display for its Stalker DSR and Dual SL radars with officer safety in mind. Stalker Radar has designed the Virtual Display to minimize distracted driving and reduce risk for law enforcement officers on the road. 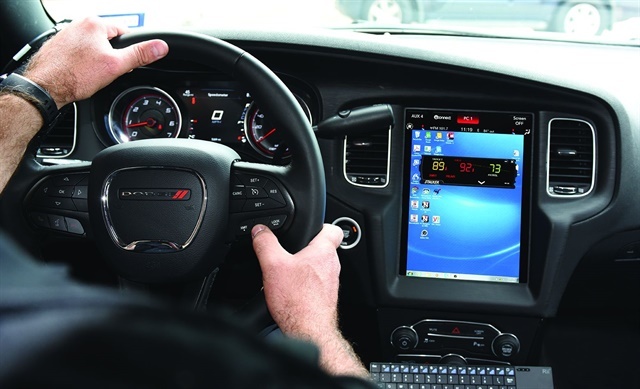 The radar display has been moved from a proprietary dashboard device to a vehicle's touchscreen, and can be controlled through steering wheel auxiliary buttons, allowing officers to operate the Virtual Display radar without taking their eyes off the road and keeping their hands on the wheel. In the event of a crash, the Virtual Display shouldn't cause injury to the officer because it is installed in the vehicle's dashboard. This lessens the risk of flying debris and clutter during collision, as does the fact that this system operates without the use of handheld remote controls. According to the company, remote controls also force police officers to take one hand off the steering wheel during operation and could be dropped or broken. 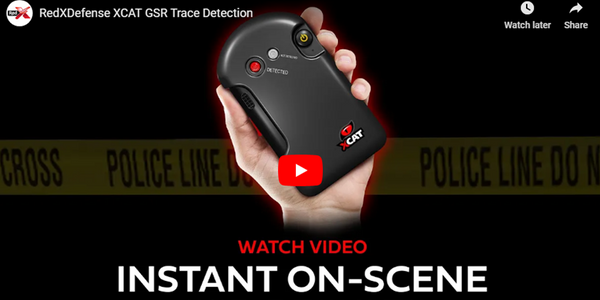 The Van Alstyne (TX) Police Department has deployed the Stalker Radar Virtual Display in its vehicles, and has been using them for about a year. 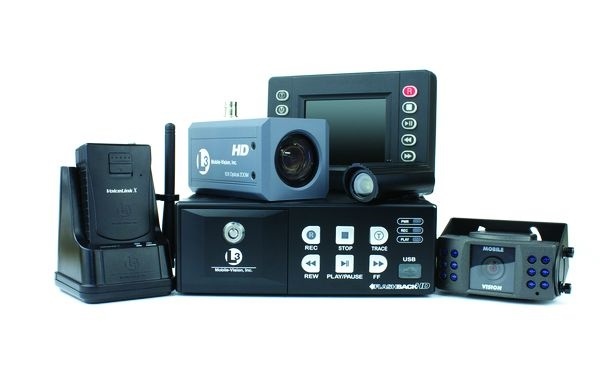 WatchGuard Video's 4RE in-car camera system integrates with body-worn cameras and can be used for interviews. The Summerville (SC) Police Department uses WatchGuard Video's in-car video, body-worn camera, and evidence management solutions. The agency employs 104 fulltime and 25 reserve officers. All of the department's patrol vehicles are outfitted with WatchGuard Video's 4RE in-car camera systems and every patrol officer wears a WatchGuard Video Vista body camera on duty. "They all work together: the body camera, in-car camera, and the new technology that they're coming out with now," says Chief Jon Rogers. "It has really changed how we do business." For one thing, the Summerville PD has been able to use the 4RE's continuous recording to catch criminals. "We've actually solved some cases where we've gone back and found that an officer has driven through a neighborhood and driven by a suspect," says Rogers. "We're able to go back and create a new event, save that video, and identify suspects." And overall, the cohesive way WatchGuard Video's technology works together helps to streamline the day-to-day operations of the Summerville Police Department. "The 4RE [in-car video] system is also our interview system," says Rogers. "The whole thing is seamless, and all in one place. 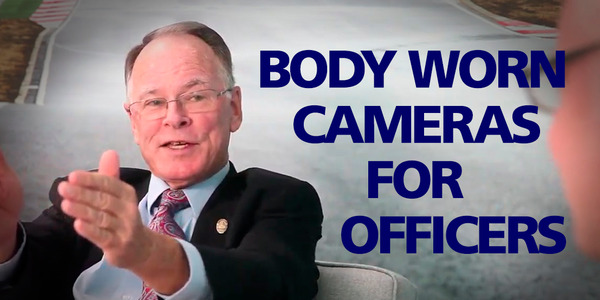 We can pull video up on a dashboard, for lack of a better word, on a computer system and we can watch it all at the same time: the car, the body camera, you've got the sound, you've got everything."